2009 May : Steal This Dress! 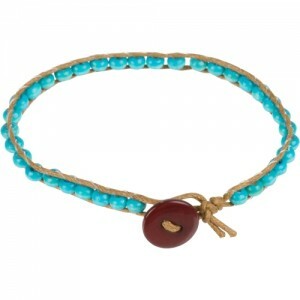 As you’ve probably gathered from reading some of my other posts, I absolutely love bracelets. The bigger the rainbow of bracelets in different sizes, colors and textures on my wrist, the better! You can imagine my reaction when I saw these beaded friendship bracelets from Charlotte Russe. These delicate, feminine trinkets cost only $1.50! I am now the proud owner of all five colors–turquoise, black, brown, red and the multicolored combo. 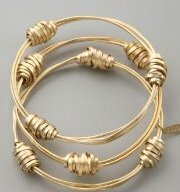 These thin bracelets are great for mixing and matching with others in your collection. Wearing only one of these beaded bracelets is a great choice for when you are wearing a lot of other jewelry and want to adorn your wrist with something small and subtle. Don’t you love it when your makeup looks so good that everyone thinks you must be using designer products? If so, then you have got to try Milani cosmetics. With everything from bronzer and foundation to lip gloss and nail polish, this collection has all the bases covered. If a friend of mine hadn’t pointed out the Milani stand at our local pharmacy to me one day, I would have never thought to try this brand. I’m usually very reluctant to try new a makeup product once I’ve found one that suits me. However, since then, I’ve tried almost the entire Milani collection and love every product. The colors are gorgeous and do not wear off quickly. 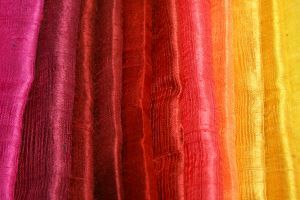 Silk Scarves: A First Step to Beating the Credit Crunch? 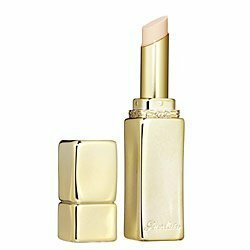 I have always used eyeshadow primer but had no idea that a base for lip gloss and lipstick existed as well–until I tried the fabulous Kiss Kiss Liplift from Guerlain. Liplift evens out the grooves on the surface of your lips, allowing you to achieve a very smooth application of color afterward. For this exact reason, I always used to prep my lips with balm before putting on lip gloss. But now that I’ve tried Liplift, I think I’ll take five from my chapstick. Two more noteworthy benefits of this product. First, it does not dry out your lips. Second, it helps your color last longer, which is a sign of a good priming product. The “lift” part of the product’s name suggests that it also plumps your pucker. I can’t say that it dramatically plumped my lips, but I did notice a small difference. What sold me on Liplift is how much it improves the appearance of your gloss or lip stick. For that reason alone, I say this Guerlain goodie is a must-have. Let me know if you have any other tips for making your lip gloss or lipstick stay on longer!